Israeli Intelligence Minister Yisrael Katz called for a military coalition against Tehran if it proceeded with enriching military-grade uranium. Speaking at a conference of the Institute of Certified Public Accountants in Eilat, Israeli Defense Minister Avigdor Lieberman blasted Iran’s statement that it would begin work to boost uranium enrichment capacity. “Supreme Leader Ali Khamenei’s declaration is a sign of hysteria and mass panic in the Iranian leadership,” Lieberman said. Prime Minister Benjamin Netanyahu has also commented on the matter, pledging not to let Iran obtain nuclear weapons. “Two days ago Ayatollah Ali Khamenei, the leader of Iran, said he intends to destroy Israel. Yesterday, he explained how he wants to do it – with unlimited uranium enrichment to create a nuclear arsenal,” he said. Just yesterday, Iran’s leader said again that Israel is a cancer that has to be and will be eradicated. It’s amazing that in the 21st century, somebody talks about destroying Israel. It means destroying another six million plus Jews. This is what we face. — Benjamin Netanyahu (@netanyahu) 4 июня 2018 г. 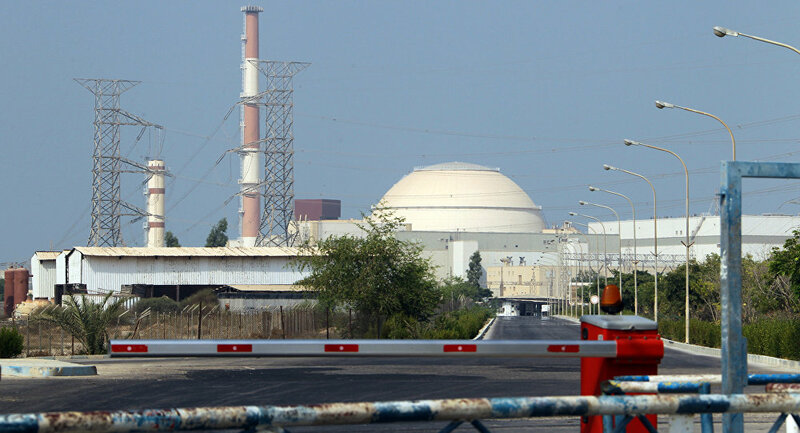 The ministers’ comments come a day after Ayatollah Khamenei announced that Iran would inform the UN nuclear watchdog that preparations for increasing uranium enrichment capacity would begin on Tuesday. — Khamenei.ir (@khamenei_ir) 4 июня 2018 г. “The words uttered by some European states indicate that they expect the Iranian nation to both agree to comply with the nuclear deal undertakings and live under sanctions,” Khamenei added. Spokesman for Iran's Atomic Energy Organization Behrouz Kamalvandi reportedly said that Khamenei "meant that we should accelerate some process… linked to our nuclear work capacity to move forward daster in case needed." Earlier on Tuesday, Iran's atomic energy chief Ali Akbar Salehi emphasized that Tehran had developed infrastructure to produce electricity at the country's Natanz facility, saying that the Islamic Republic had notified the UN that it will install centrifuges for the uranium enrichment there. The Joint Comprehensive Plan of Action (JCPOA), also known as the Iran nuclear deal, has been jeopardized since US President Donald Trump announced his decision to withdraw from the agreement and reinstate anti-Tehran sanctions, lifted as part of the international accord. The 2015 deal limited Iran to 3.67 percent uranium enrichment, which has no military applications and is far below the 90 percent needed to produce a weapon. At the same time, relations between Israel and Iran have dramatically escalated over the latter’s alleged military presence in Syria, being further exacerbated by a suspected Israeli attack in the suburbs of Syria’s Damascus against arms depots, which according to Tel Aviv belonged to Tehran’s Revolutionary Guards. The deal was inked in 2015 by the EU and the P5+1 group of states – Russia, the US, China, France, the UK and Germany – and Iran. Under the agreement, Tehran agreed to maintain the peaceful nature of its nuclear program in exchange for gradual lifting of sanctions.